First of all, let me say right here that these are things that I personally learned, and doing some further research into the subject has shown these things to still be true. I have no interest in whether or not you go tankless, other than the fact that I try to provide people with as many facts as I can in all aspects of plumbing. So, keeping that in mind, let’s take a look at some of the facts. Well, as you likely know, the storage tank is the weak spot in most conventional water heaters. Water sits in the tank which causes calcium, and sometimes even rust to accumulate in the bottom. Usually the calcium starts first, then, eventually the tank will start to rust from the bottom, and eventually it will spring a leak. Different manufacturers have come out with different types of “self cleaning” configurations, but none of them really work all that well (in my experience). The calcium still builds up in the bottom of the tank, winds up traveling through your pipes, clogging up your aerators, etc. Another problem with the tank is that, even with R-16 insulation (2” of insulation between the tank and the shell), the water still grows cold over time. That means that if you have a 50 gallon storage tank water heater, every time the water cools, you are reheating 50 gallons of water, whether you will use that much or not. Since a tankless has no tank (obviously), it basically solves both of those problems; not to mention that you do not need to “flush” your unit to get rid of all the calcium like is recommended on storage tank heaters. They also tend to take up a lot less space. Another benefit is that they are more efficient. They do use a lot more gas than conventional heaters, but they do so in shorter bursts; only heating the water you need, so they use less gas overall. Finally, tankless water heaters have a tendency to have a longer warranty period. It is not unusual to find them with warranties of up to 20 years, where storage tank models often come with tank warranties of 6-12 years, and often have parts warranties of 1-2 years. So what are the drawbacks? There are some, and they can be pretty big drawbacks. 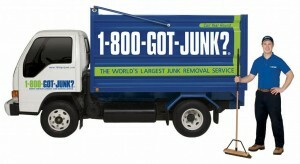 The first drawback is usually the deal breaker – installation cost. Not only are the units themselves around 3-4 times more expensive than conventional units, the cost to install them can be huge. Let’s look at a typical install. 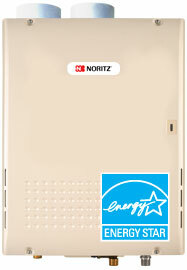 You want to remove the water heater from your garage and replace it with a tankless. You remove the old one, hang the new one on the wall, and hook it up to the plumbing. The first thing that will need to be done is to run a new gas line. Tankless water heaters use a ton of gas really quickly (assuming you are using a gas fired model), and they need a gas line that is big enough to deliver the amount of gas needed. Usually it involves running a new, dedicated gas line from the meter to the new unit. As plumbing goes, running new gas lines can be fairly pricey, so keep this in mind. The next thing you will need to do is upgrade your vent. Unlike conventional units, tankless models require Category III stainless steel (UL1738 certified) venting. Not only that, but it is usually of a bigger diameter than your old vent. This means that not only do you need to buy the new venting materials (which are very expensive), but you may need to widen the areas where the vent exits the garage. If your current vent ties into the furnace vent, most municipalities will not let you tie the new one in, which presents more problems with venting. Another issue is that, if you are used to having a hot water recirculation system that gives you hot water pretty much instantly to your fixtures, you will not be able to do that with a tankless. I mean, in theory, you can, but it is not recommended. Many manufacturers will void the warranty if you do, and it kind of takes away from the energy savings anyway. This means that you do have to wait a bit to get hot water, and with some models you can have cool spurts of water from time to time. Now there are some things you can do to minimize some of the drawbacks I listed above. One of the easiest is to find a place outside to mount your new unit. There are outside units that are basically self venting, and if you mount it close to the gas meter, it could really bring the cost of your new gas line down considerably. There will be some water line plumbing that will need to be reconfigured to make it work, but running water lines are a lot easier (and cheaper) than running gas lines and venting. 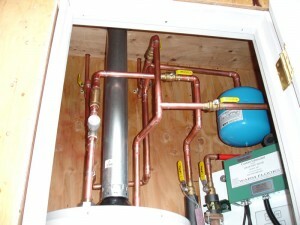 I had a customer once who had a 75 gallon water heater in her garage that was getting old. She really wanted a tankless, but the house was big, and was on a recirc system. What we wound up doing was using two tankless units. The laundry room and kitchen were really close to each other, with the other three bathrooms on the other side of the house. I was able to split the hot lines under the house and isolate them, so that I used 1 unit for the front of the house and another unit for the back. She was able to, with this configuration, get hot water quickly to all fixtures, and still save money on her energy bill. The only complication we ran into was that the meter needed to be upgraded before the install passed inspection, because she also had a pool heater and outdoor, natural gas BBQ running off her meter. PG&E was able to upgrade the meter though, so all ended well (although she was without hot water for a while). Talk to you next time. What should I write about next? Any ideas? a very interesting subject and a very interesting site but some people wants more than personal opinions and thoughts they need a proven facts but over all i liked it very much it was interesting and educational. Thanks Fred. Is there anything I forgot to mention, or info that I presented that was incorrect? Please share. Oh… and you forgot “feld”. Thanks for this info, Steve. But I would get an electric tankless because we have no gas lines at all to our house, and no recirc system. So what is the benefit/reward calculation for me? I understand that it may take a while for the hot water to get to my faucet, but it takes a while now with my traditional tank water heater because there are just two of us in the house and we only run hot water for 2 showers in the morning and some evening dishes. I can’t see why it would take longer with a tankless. I think it’s possible that I would need a bigger capacity breaker for it. Well, if you do not have a recirc system now, you should notice little, if any difference in the amount of time the water takes to get to your faucets/showers/etc. You will likely see a change in your energy bill, though. All day, while you are not using the hot water, your tank is reheating it, just to let it get cold again… and it is doing that several times every day. You should be able to save some money by going tankless. will it be enough to pay the electrician (should you need a bigger breaker), and cover the cost of the new heater? Probably… over time.